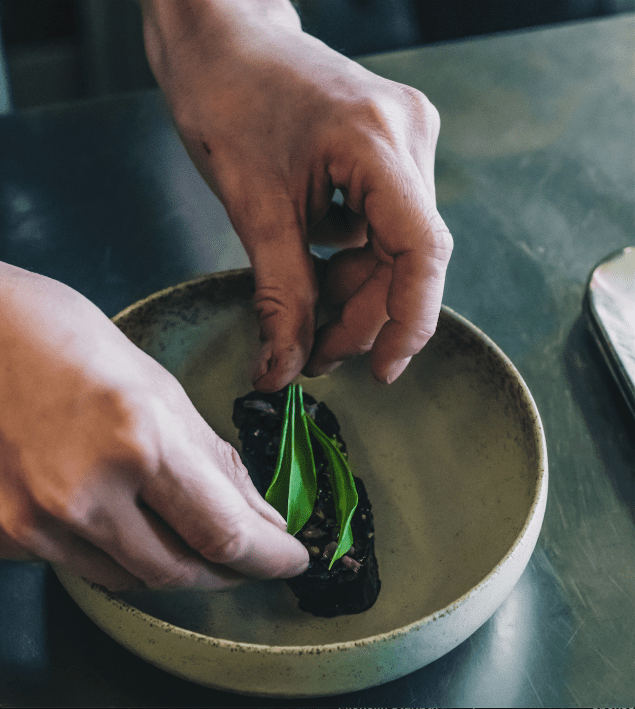 Danish capital Copenhagen has for a long time been hailed as the holy grail of innovative and experimental food, that leaves a gaze of excitement on foodies and critics alike. With the size of the country only just surpassing that of the state of Maryland, and a population only slightly above the 6 million mark, you could easily be oblivious to what the rest of the country has to offer (I mean – can you name another Danish city besides Copenhagen?). 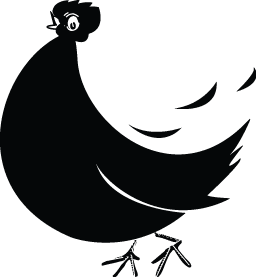 This obliviousness was also evident with the people behind the Michelin guide, as they didn’t venture out of the large cities until 2016 – not coincidentally the year that Frederiksminde and chef owner Jonas Mikkelsen received their first star. Located just an hour’s drive south of Copenhagen, even the trip to Frederiksminde feels like Alice’s journey down the rabbit hole. 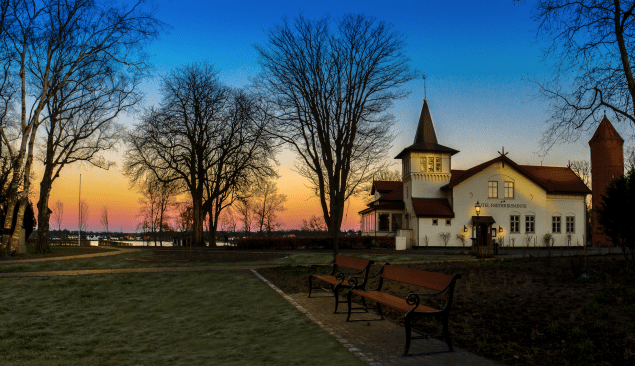 The noisy and bustling streets of the Danish capital slowly give way to bright blue skies and tranquil scenes, until finally you reach the provincial town of Præstø. As soon as you step out, you realise that this is not just a feast for your stomach, but also one for your soul. 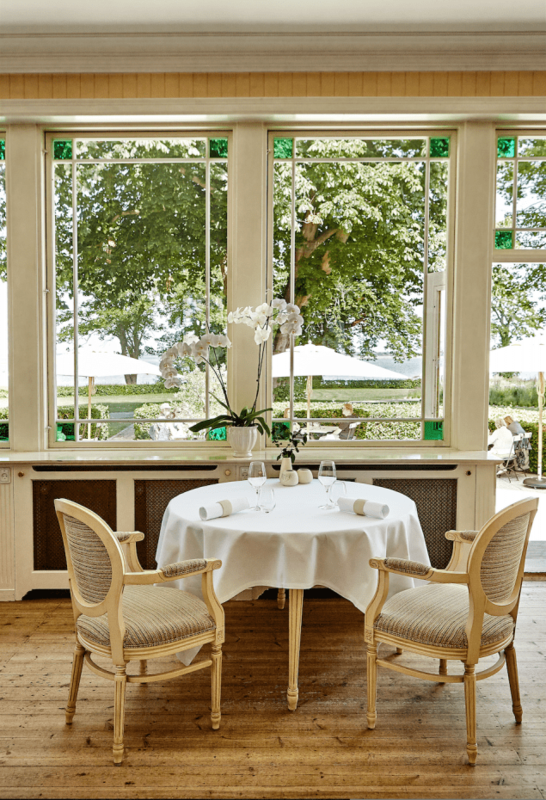 The idyllic dining veranda at Frederiksminde Kro. 36-year old Jonas Mikkelsen was a late bloomer, when compared to other chefs in Denmark. He didn’t finish his formal training until he was 27 years old, but his passion for food started very early. “My parents made a habit of serving authentic food at home, like on Fridays we would always have a menu with a starter, main course and dessert. When I was around 15 I got my first job doing the dishes in a canteen at a local sports hall, and later I helped serve hot dogs and burgers. Later I was put in charge of serving the food for the teams on Mondays, and I always made an extra effort, like garnishing the food with chopped parsley, just to give it that extra finesse, even though it was not expected. This is when I realised I liked working in a kitchen,” he explains. After completing his high school degree, he worked as a cook at a random cafe – mostly to make money for travels – but he learned that he had a talent and enrolled in culinary school, now very ambitious and knew he wanted to learn from the absolute best. He researched his options and found out there were only 8-9 Michelin-starred restaurants in the country and all were located in Copenhagen. He applied for all of them and got a culinary internship at Kommandanten (2*Michelin French restaurant, today closed), so he packed he knives and moved from his hometown Odense to Copenhagen. After he finished his formal training in January 2009 he went to the Caribbean to work at a 5-star Danish hotel, before returning in August of the same year. To make some money, he worked part time at different places; one of these at the recent Bocuse d’Or Guld Medalist Kenneth Toft-Hansen’s Svinkløv Badehotel. And then he received a call from the hotel manager of Frederiksminde, who offered him a job based on a recommendation of a previous boss. He started his new career in the spring of 2010, and to him it was the perfect fit. “From my perspective, when you work in Copenhagen the conditions are totally different. You work in the basement of a small building with half of the kitchen machines being semi-defunct. Frederiksminde sounded like the complete opposite and being offered the managing position was a way for me to see if I was ready to fly solo. Mind you, I was older compared to other people who had just finished training, so I pushed myself to work even harder”, he says of the move. And the place definitely is the polar opposite of the standard Copenhagen fare. Præstø is a small coast town in the south of Zealand with only 4000 habitants. 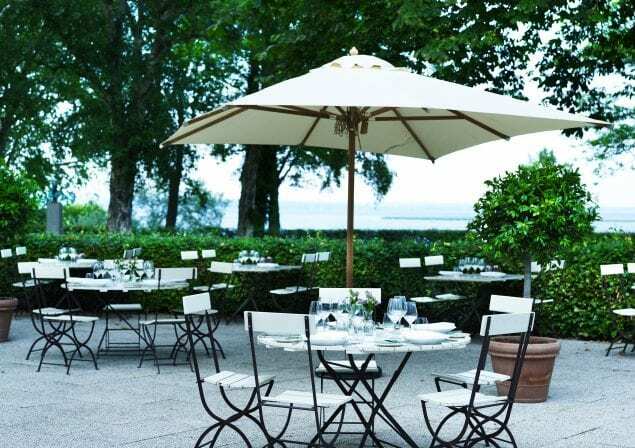 The restaurant is part of the Frederiksminde Hotel; a historical building surrounded by green parks, an amazing view of the sea and beautiful, classic yet modernised town houses. You couldn’t ask for a more idyllic setting. According to Jonas Mikkelsen the setting is what makes Frederiksminde unique. “The location is 100 meters from the seaside and the city itself is calm and romantic. This also gives us another advantage. We have a huge garden, where we grow much of the produce that we use, like different cabbages, carrots, potatoes, radishes, edible flowers and herbs. Many people say that when dining here, you also get a taste of the surroundings, which is literally true”. The serene surroundings also feed Jonas’ creativity when it comes to creating his menus. 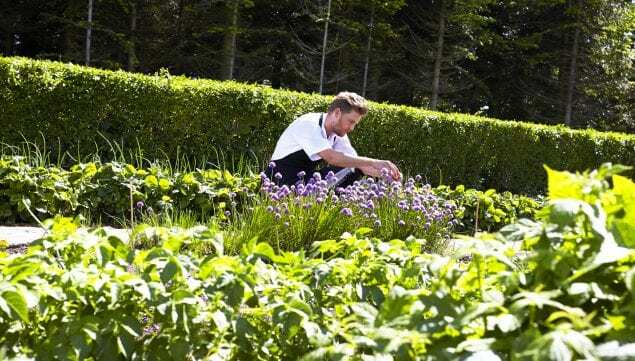 With many of their ingredients being grown in-house, and a handful available by foraging the nearby surrounding forests for mushrooms and berries, it is often the weather conditions that dictate how the menu is assembled. As Jonas Mikkelsen explains, it is impossible to control the speed of the growth, and sometimes an abundance of carrots will grow, and he will be forced to think creatively on how to incorporate these in his dishes, without it becoming repetitive and compromising the quality. He also emphasises that another unique factor is their focus on vegetables. “The use of vegetables really characterises me, but all the dishes are very savoury. When I create menus I like to start it off soft, and then slowly build it up to more complex dishes as we go, making sure each and every dish is very tasteful. I decorate the plates nicely, but it’s not a place where we go all-in on changing texture and structure of the products just for the looks”, he says while adding his signature dish is grilled leeks and ramps, pickled and dried vegetables with parsley and acidified cream. Whitefish row, Jerusalem artichokes, pickled asparagus and horseradish salad. 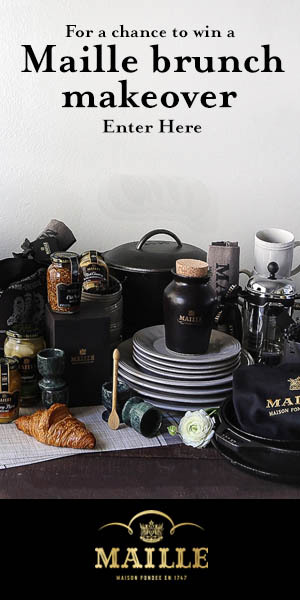 Besides Frederiksminde, Jonas Mikkelsen is also a partner of two other establishments. 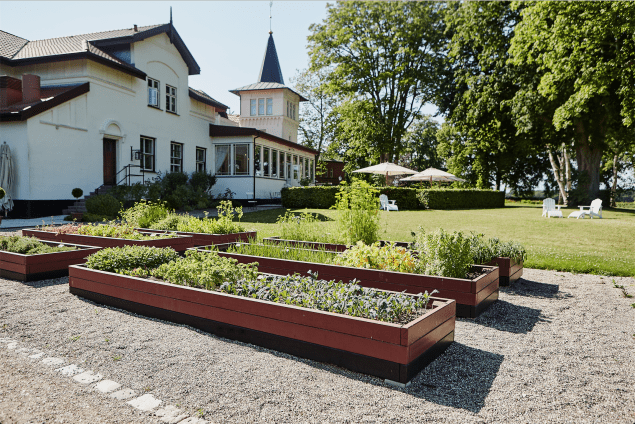 One being Rønnede Kro which is a classic Danish inn that went through a total renovation in 2015. It’s a mere 15 kilometers from Frederiksminde, and serves the classic Danish open faced sandwiches: smørrebrød for lunch and a gourmet dinner. The other is Hotel Baltic, which they acquired last year, and can best be described as a boutique hotel. 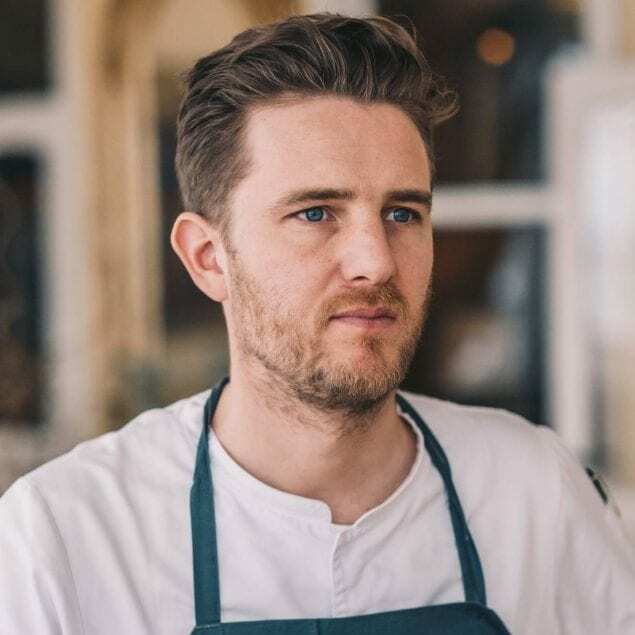 Although he is actively a part of both places as the director of gastronomy, his main focus is Frederiksminde, and in the last nine years, not only has he taken it to whole new level, but he has also been a pioneer. “I think we were amongst the first restaurants that used vegetables as the main component. Now you find gourmet restaurants that focus on vegetables. A while back to be even considered a Michelin star, you would have to be an expensive fine dining restaurant serving truffles and caviar, but that has changed. I also see an increase in the use of slow food and sustainability. Before people would buy produce and have it delivered mainly from France and Italy, but using local products has become more popular”. Jonas doesn’t care much for labels and instead focuses on the craftsmanship and thought behind the execution. His vision for Frederiksminde has not changed, since he first sharpened his chefs knives there for the first time nine years ago. 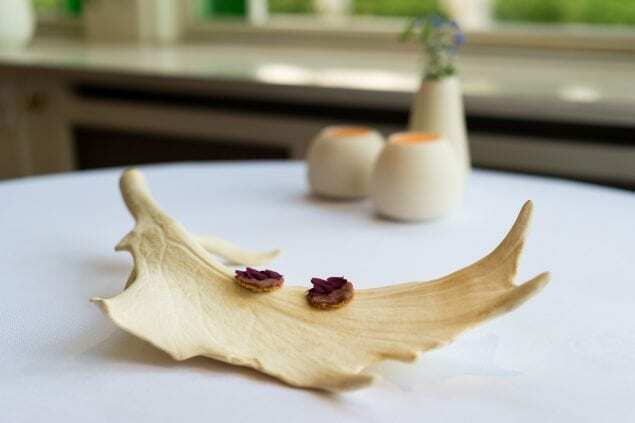 “To be among the very best in Danish gastronomy. At this point it is only my own abilities that set the limits for what we can do at Frederiksminde”, he says. So next time you are in Copenhagen, take a trip down the rabbit hole to Præstø and visit Frederiksminde to feed both your body and your soul. 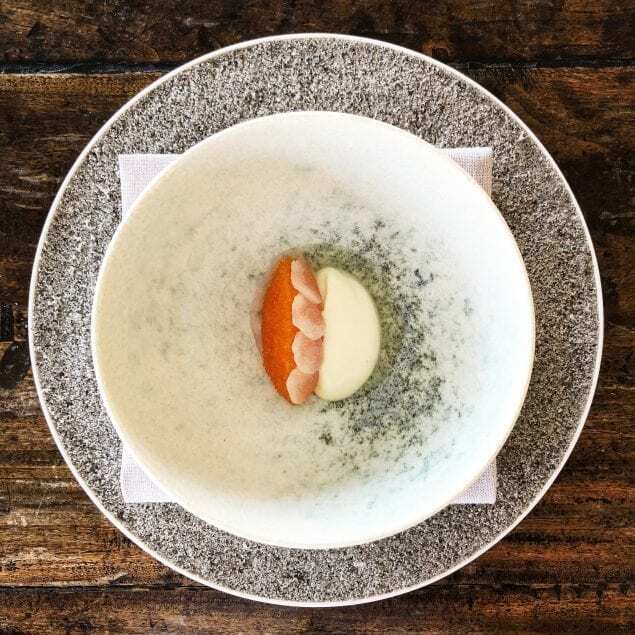 “With some of the restaurants I visit, you can always see from where they borrowed their techniques, but here it is a complete experience, and I understand why Frederiksminde is on everyone’s to-do list.” – Rebecca Buur, Editor of Michelin Guide Nordic. Press play and experience the wonders of Frederiksminde. PassionPlated Frederiksminde from Creative Republic ApS on Vimeo.